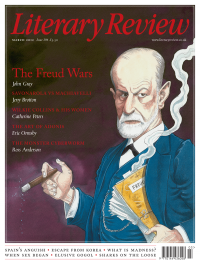 The Freud wars are a bit like the current clamour that surrounds religion. Rancorous and obsessive in their pursuit of one another, the protagonists have no interest in securing agreement on the issues by which they claim to be divided. Though each side incessantly repeats that it is dedicated to rational inquiry, there is no argument that could conceivably settle what is humorously described as the debate. The nasty and occasionally sordid exchanges – which in the case of the Freud wars have at times involved legal action – serve interests other than those that are avowed by the participants, though what these interests may be is often unclear.